Our comprehensive studies thoroughly explore your companies' fundamental qualifying research activities resulting in more complete and detailed documentation in order to provide sufficient substantiation to prevent IRS challenges. In the case of an IRS audit, our IRS enrolled agents, lawyers, and engineers, make sure you are fully prepared and in the best position to defend your claim. Our previous audit experience, as well as, our unparalleled knowledge of the R&D credit legislation, regulations, and case law allow us to recommend strategic practices to combat every auditor denial position. Of course this is support is completely complimentary as we want to ensure your company can take full advantage of the credit. These Audit Techniques Guides (ATGs) help IRS examiners during audits by providing insight into issues and accounting methods unique to specific industries. While ATGs are designed to provide guidance for IRS employees, they're also useful to small business owners and tax professionals who prepare returns. ATGs explain industry-specific examination techniques and include common, as well as, unique industry issues, business practices and terminology. Guidance is also provided on the examination of income, interview techniques and evaluation of evidence. As of August 17, 2012, the Issue Tiering Process is no longer in effect, per directive from LB&I Commissioner Heather C. Maloy. Tiered Issue pages and resources will remain on the IRS.GOV website temporarily for historical / reference purposes only. As of August 2012, the Large Business and International division (LB&I, formerly the Large and Mid-Size Business LMSB) ended the Issue Tiering Process, per directive from Commissioner Heather C. Maloy. Previously, the R&D tax credit was classified as an IRS Tier I issue. These high risk transactions pose the highest compliance risk across multiple LB&I industries and generally include large numbers of taxpayers, significant dollar risk, substantial compliance risk, or are high visibility. Tiered Issue pages and resources will remain here and on the irs.gov website temporarily for historical / reference purposes only. Since 2006, LB&I has used the Tiered Issue Process to set exam priorities and address certain corporate tax issues that it believed posed challenges to compliance. The tiered issue process was initially developed, in part, as a way for then LMSB to combat tax shelters that the IRS viewed as abusive. In fact, several of the initial tiered issues dealt with listed transactions. The tiered issue process ensured consistency of treatment and uniform disposition of these and other types of cases. As a result of our review, LB&I will no longer manage issues through the Tiered Issue Process. In place of the Tiered Issue Process, LB&I is developing a knowledge management network (currently being piloted) through the use of Issue Practice Groups ("IPGs") for domestic issues and International Practice Networks ("IPNs") for international issues. IPGs and IPNs are designed to provide examination teams the technical advice they need to manage their cases efficiently, consistently and with a high degree of technical proficiency. IPGs and IPNs are designed to foster effective collaboration and the sharing of knowledge and expertise across LB&I and Chief Counsel. LB&I views the IPGs and IPNs as a better mechanism than the Tiered Issue Process for balancing the need for consistency with the recognition that there is no "one size fits all" approach to examining and resolving issues. The IPGs and IPNs reflect the fact that no one LB&I employee has all the answers. IPGs and IPNs are a resource for examiners, managers and executives to use during audits and in managing our compliance priorities. Agents are encouraged to consult IPGs or IPNs, especially when they encounter issues with which they are not familiar or when dealing with complex technical issues. Frontline Managers, Territory Managers, DFOs and Directors are also encouraged to consult IPGs and IPNs when reviewing cases and considering the proper treatment of issues under their supervision. In every case we audit, we must put forward the best and most current legal positions available on behalf of the United States Government and we must do so consistently across the organization. To reach these results, IPGs and IPNs are the best tools available to LB&I and should be utilized widely throughout the organization. Although this LB&I Directive signals a change in how we approach our work, our goal remains the same: To continue to produce high quality work but with an increased emphasis on cooperation and collaboration among all parties involved in the examination process. Effective with the issuance of this LB&I Directive, all Tier I, II and III issues are no longer tiered. These issues should be risk-assessed and examined in the same manner as any other issue in an audit. All prior Industry Director Directives ("IDDs") relevant to these issues are withdrawn and should no longer be consulted or followed. To the extent any of the IDDs included guidance or tools relevant to risking an issue, the guidance or tools will be made available through the IPG and IPN community websites. References to tiered issues in other IRS Administrative Guidance, such as the IRM, Coordinated Issue Papers, or Industry Guides, are no longer valid. After a thorough review, such Administrative Guidance will be updated accordingly. Examiners with questions should consult the relevant IPG, IPN or technical materials available on the LB&I website. This LB&I Directive does not affect the issuance of the mandatory information document request ("IDR") on abusive tax shelters. That IDR is currently being reviewed as part of the exam re-engineering process. The IPGs and IPNs for these respective issues will provide guidance and support to examiners on the identification and development of these issues. This LB&I Directive is not an official pronouncement of law and cannot be used, cited or relied upon as such. An overpayment of tax for a taxable year generated, in whole or in part, by the research credit and not taken into account on a taxpayer's original return may be taken into account by the timely filing of a claim for credit or refund. The claim for credit or refund shall indicate at the top "Refund-Research Credit" and include a copy of the Form 6765, Credit for Increasing Research Activities (if any) filed with the original return and an amended Form 6765. Notice 2002-44, 2002-2 C.B. 39 is superseded. For questions regarding this notice, contact Paul V. Colleran of the Office of Division Counsel (Large and Mid-Size Business) at (617) 565-7838 (not a tollfree call). The Research & Experimentation (R&E) Credit Claims Issue has been designated as an LMSB Tier I issue. Cheryl P. Claybough, Director of Field Operations East, has been named as Issue Owner Executive for this Tier I Issue and will be responsible for ensuring that the issue is identified, developed and resolved in a consistent manner across all LMSB cases involving similarly situated taxpayers. When addressing a R&E Credit Claim, examiners must review and follow the guidance related to the R&E Credit Claims issue, including Industry Directives, Notice 2002-44, and the Research Credit Audit Technique Guide (ATG), which provides suggested guidelines for auditing research credit issues. Additional information concerning the R&E Credit Claims issue can also be found on the Research Credit website. If examiners need further assistance, they should contact one of the Research Credit Technical Advisors. This document is not an official pronouncement of the law or the position of the Service and cannot be used, or cited, or relied upon as such. Please answer the following questions. All answers should be complete and specific to the question. Any reference to other documentation without a complete answer to the question will be considered an unsatisfactory response. All answers should refer to the taxable period ending * * * * * * (insert no more than one tax year per IDR). 1. Have you retained a third party to assist you in preparing this claim? If the answer is yes, identify the third party and specify whether the fee to be paid by you to the third party is contingent upon the amount of the research credit ultimately allowed under the claim. 2. Did you make an I.R.C. §280C(c)(3) election on your original tax return? If yes, what was the amount of the research credit claimed? a. Have the other members or trades or businesses been notified of your recomputation of the research credit and the effect that your credit allocation will have on their credit? b. Have the other members or trades or businesses filed claims that affect your allocated portion of the group credit? If yes, explain the effect on your allocated portion of the credit. c. Have the other members or trades or businesses had their research credits adjusted in any way by the IRS that affects your allocated portion of the group credit? If yes, explain the effect of the adjustment on your allocated portion of the credit. 4. In computing the group credit for the credit year, which includes computation of the base amount, have you accounted for all acquisitions and dispositions of members of the controlled group, or trades or businesses which are under common control, in accordance with the aggregation rules of I.R.C. §41(f)(1)? If no, explain why you have not accounted for all acquisitions and dispositions. 5. In computing the credit for the credit year, which includes computation of the base amount, have you accounted for all acquisitions or dispositions of a major portion of a trade or business or major portion of a separate unit of a trade or business, as required by I.R.C. §41(f)(3)(A) or §41(f)(3)(B)? If no, explain why you have not accounted for all acquisitions and dispositions. 6. Did you use project accounting to capture costs in your financial books and records? If yes, did you use this project accounting to identify and capture the additional qualified research expenses ("QREs")? If no to either or both questions, describe the method used to identify and capture the additional QREs and describe how this alternative method connects QREs with the financial books and records. 7. Please identify by dollar amounts where these additional QREs were deducted on your original return, i.e., cost of goods sold, capitalized as part of plant or equipment, overhead accounts or claimed and deducted as research expenses. What was your adopted method of treatment for R&E expenditures under I.R.C. §174? Did you report the additional expenditures in compliance with your adopted method of treatment? If not, please explain? a. Identifies each new or improved business component for which the additional QREs are being claimed? If no, how have you identified each new or improved business component as defined in I.R.C. §41(d)(2)(B)? 1) How did you identify that qualified research relates to development of a new or improved business component? 2) How did you determine that you satisfied the 80% process of experimentation requirement of I.R.C. §41(d)(1)(C)? c. Identifies, by each new or improved business component, each employee whose wages are being claimed as QREs? If no, how have you identified the employees that are being claimed as having performed qualified services by each new or improved business component? d. Tracks, by each new or improved business component, the time spent by each employee performing qualified services? If no, how have you determined the amount of employee qualified services that should be allocated to new or improved business component(s)? e. Identifies the general ledger accounts which were used to quantify the QRE supplies? f. Identifies the amount of QRE supplies consumed in the conduct of qualified research for each new or improved business component? If no, explain how you determined the amount of QRE supplies used in the conduct of qualified research. g. Identifies claimed contract research expenses by contractor, QRE amount and each new or improved business component? 1) Have you retained copies of all the contracts for which contract research expenses have been claimed? c) that you would retain substantial rights to the results of the research? 9. For any research you performed for which you were a contractor, do you have contemporaneous documentation that identifies your claimed research expenses by contract, QRE amount and each new or improved business component? a. Have you retained copies of all the contracts for which such research expenses have been claimed? 3) that you would retain substantial rights to the results of the research? 10. Does the amount of additional QREs include any expenditure for overhead expenses, general and administrative expenses, indirect research expenditures or depreciation allowances? If yes, provide the dollar amount(s) of additional QREs claimed for each type of expenditure. d. Identify the number of months that transpired between the claim year and the time the oral testimony or employee survey took place. d. Identify the number of months that transpired between the base years and the time the oral testimony or employee survey took place. 13. Does the claim rely on estimates or extrapolations to determine any portion of the QREs in the credit year? If yes, describe the estimates or extrapolations methodologies employed and provide the dollar amount of the QREs, which was determined based upon an estimation or extrapolation technique. 14. Does the claim rely on estimates or extrapolations to determine any portion of the QREs in the base years? If yes, describe the estimates or extrapolations methodologies employed and provide the dollar amount of the QREs, by year, which was determined based upon an estimation or extrapolation technique. 15. Does the claim rely on estimates or extrapolations to determine any portion of the gross receipts used to compute the base amount? If yes, describe the estimates or extrapolations methodologies employed and provide the dollar amount of the gross receipts, by year, which was determined based upon an estimation or extrapolation technique. a. Did you use a valid statistical sample? d. Identify the dollar amount of the QREs which was determined based upon each sampling method used. 17. Have you complied with the consistency requirement of I.R.C. §41(c)(6), which requires that the QREs used in determining the fixed-base percentage be determined on a basis consistent with the determination of the QREs for the credit year? If yes, state how you complied with the consistency requirement in determining the fixed-base percentage that was reported on your original (if applicable) and amended Form 6765. 18. Provide the name(s) and phone number(s) of the person(s) who completed this questionnaire. 1. Reference, above, to "additional" QREs refers only to the QREs in the claim that were not reported as QREs on the originally-filed tax return. 2. Reference, above, to the term "base years" refers to the years used to compute the fixed-base percentage. A major objective of the IRS Large Business and International Division's Issue Management Strategy is to identify, coordinate and resolve complex and significant industry wide issues by providing guidance to field examiners and ensuring uniform application of the law. Uniformity is achieved through the issuance of coordinated issue papers, which, following review by the Office of Chief Counsel, are issued by the Commissioner, Large Business and International Division. Although these papers are not official pronouncements on the issues, they do set forth the Service's current thinking. 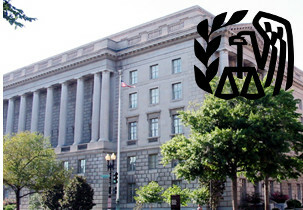 Here we have collected all miscellaneous documentation the IRS has published. FIX The IRS web version can be found here. FIX You can download a PDF version here. According to Internal Revenue Bulletin 2008-13: Notice 2008-39 (IRS / PDF) "Notice 2002-44, 2002-2 C.B. 39 is superseded"
For historical purposes we have included a PDF of Notice 2002-44 below.